When you step into our Annapolis area dentist office, the first thing you'll recognize is that we are not your ordinary dental practice. We designed every detail in our office for your ultimate comfort. Settle in and relax! You’ve put yourself in good hands. Click here for directions from Annapolis, Arnold, Severna Park, Millersville and the surrounding area. Dr. Finlay & Associates is one of "America's Top Dentists," as selected by The Consumers Research Council of America, Chesapeake Family Magazine and What’s Up? Magazine of Annapolis. Every patient who comes to our office receives “VIP” treatment and service. You won't find a more qualified and quality driven dentist in Annapolis. From teeth cleanings to dental fillings we provide complete services for the whole family. Dr. Finlay is an Accredited Fellow through the American Academy of Cosmetic Dentistry. Dr. Finlay doesn't just practice restorative dentistry, he teaches it to other dentists around the world. 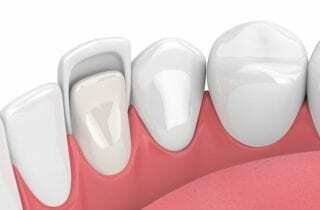 We offer dental implants as a stable, long-lasting, natural looking solution for missing teeth. We replace missing teeth with a range of solutions from dental implants to dental bridges and dentures. Dr. Scott Finlay has been providing dental care to patients of all ages for over 25 years and is recognized as one of the premier cosmetic and restorative dentists in the U.S.
Dr. Lim is a graduate of The Johns Hopkins University. She is dedicated to continuing education and delivering quality up-to-date care for her patients. Our team of dental professionals looks forward to helping you enjoy a beautiful, healthy smile with personalized care for all of your oral health needs. We welcome new patients of all ages to our Annapolis area dentist office, conveniently located in Arnold, MD. Your first visit will enable you to get to know us and tour our state of the art office as we learn about your unique smile. Technology is an important part of our dental practice. We offer the latest advancements to provide the safest and most comfortable treatment. Dr. Finlay and Dr. Anderson are among the most highly trained and qualified dentists in Maryland for the treatment of complex dental concerns. Smile Design is a four part process that addresses the health, cosmetic and functional concerns you have for your smile. Dr. Finlay is not just a dentist, he teaches other dentists the latest in cosmetic and restorative dentistry. Read about our Annapolis dental office in the local news and media. As experts in cosmetic dentistry, we regularly contribute to journal articles and interviews. I can't say enough about Dr. Finlay & his team! Not only has he helped me have a beautiful smile, his service 'after the sale' is second to none. I broke a front veneer off on Christmas Eve. I called the emergency line, hoping to get in the next business day. Dr. Finlay called me back that evening and offered to come in on Christmas Day to put on a temporary. Who does that?!? (I thanked him, but would never have interrupted his holiday) He got me in the following Monday, even though his office was closed. Now that is customer service! Well another successful trip to Dr. Finlay and Associates. I am always impressed with the level of care and attention I am given when I go to an appointment. Everybody is always so nice and courteous. I have been going to Dr. Finlay and Associates for 3 years now, and I am always thankful I am lucky enough to have them as my dentists. I would recommend them to anybody who needs dental care, both maintenance and cosmetic. Thank you so much for all you have done for me. I found Dr. Finlay approximately 15 years ago and I'm so glad I did. He and his staff are so amazing, friendly and professional. I'm always treated with the utmost care and I always feel comfortable and at home. With my bi-yearly visits, the staff always remembered our previous conversations regarding work, fun or my oral health concerns! And Dr. Finlay, himself, is so cordial and I always see him recognized in local media awareness publications. Go Finlay team! Can Chronic Headaches Be Associated With My Oral Health?